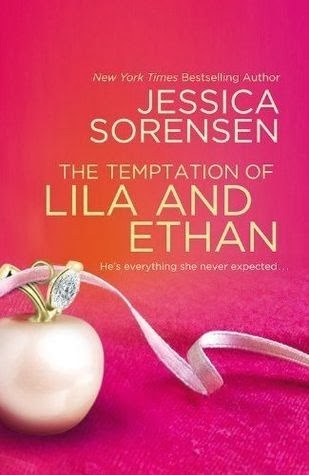 The Temptation of Lila and Ethan was one of those books that I almost stopped reading (due to a slow start and the fact that I wasn't identifying with either main character), then I decided to push through it, and then I ended up really liking the story. I found myself unable to put this book down for the last third of the book. The premise of opposites attracting is tried-and-true, but it works. I liked the mystery of both Lila and Ethan's pasts. I especially liked how both characters were much deeper and more nuanced than meets the eye. Their interactions were fun and flirty, and I enjoyed seeing them together. I really like it when characters are friends first, as it gives them a solid foundation for a later love story. There were a few surprises throughout the story, especially how much both Lila and Ethan change. I loved that. The alternating first-person POVs worked great for this book, letting the reader in to both main characters' inner thoughts. I've read Jessica Sorensen before (the Callie and Kayden series) but this was my favorite book of hers to date. I wish I had read the other two books in her Secret series first, because now I know how things end up with Ella and Micha, but I will plan on reading The Secret #4. I recommend The Temptation of Lila and Ethan for readers who love a good, romantic contemporary new adult story.